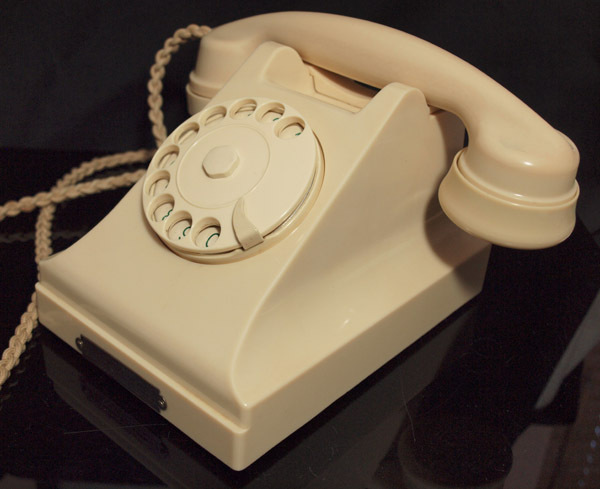 << Back Ivory Autophone telephone. I want this to go to a good home. I love it. This is a rare find and looks wonderful. Perfect condition. 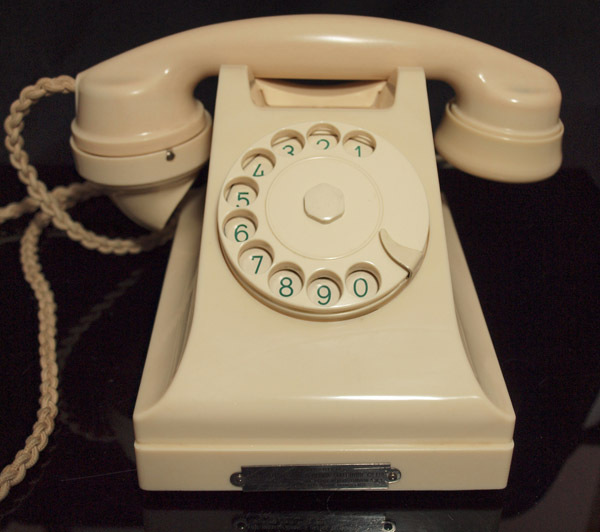 This is a wonderful early Bakelite type material telephone. This would date from around the 1930s I would think. It is a rare telephone and I have only seen a couple here and there but always in terrible condition. This one is perfect and came as one of a pair. 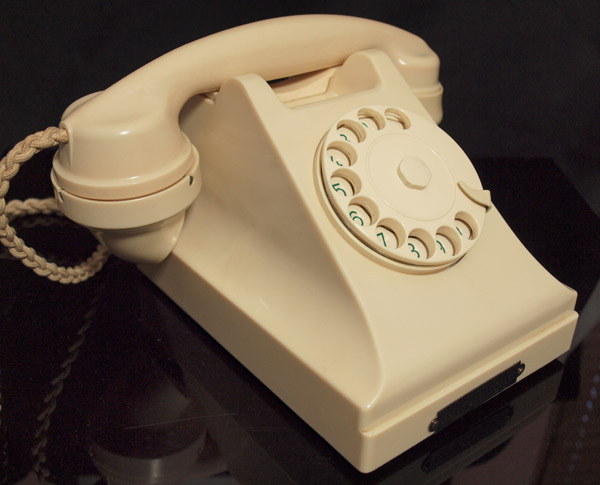 It was made by a company called Autophone and this is moulded into the rear and in a diamond shape under the handset. It has a wonderful little plaque on the front that reads “The Property of THE BRITISH HOME and OFFICE TELEPHONE Co Ltd Autophone house 73 GR Peter Street London S.W.1 Telephone Abbey 4242 Private Branch EXCH” I have upgraded the ear transmitter to a 1950s better sound quality replacement and fitted an electronic microphone. It took me a long time to get the wiring correct for modern use but I managed it without having to replace any of the original internals. The dial is a beautiful enamel face with green numbers on white. This has been fitted with a UK telephone plug socket and will simply plug in and go. It has a lovely unusual loud ring tone due to aluminium bells. If you want something really special then this could be for you.